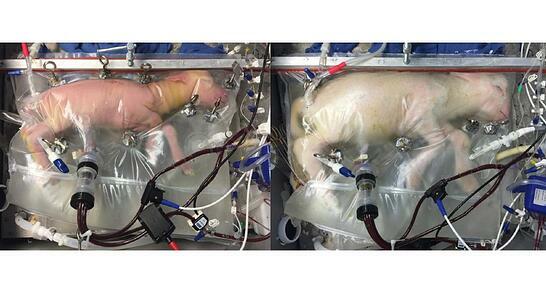 Have you heard the recent news story about an artificial womb to help babies born prematurely? Right now, scientists have created it and are testing it with animals. Lambs, the article states, are responding well. This topic raises many ethical questions. Read this article for the details and let us know what you think. Is this a little out there, or, are you comfortable with the possibilities for the future? Some worry that others could take this technology further. Other scientists are already keeping embryos alive in their labs longer then ever before, and trying to create human sperm, eggs and even embryo-like entities out of stem cells. One group recently created an artificial version of the female reproductive system in the lab. Do you or someone you know, love to knit or crochet? Perhaps you’d be interested in putting those skills to work for a terrific cause. Check out what they’re doing in England and other parts of the world to help preemies thrive. By crocheting an octopus and giving it to the little one, the baby has something soft to hang on to and is comforted. The baby is less apt to pull out their tubes too. The crocheted octopus represents something familiar, comforting and soft. How sweet is that, that something so simple can help a little one survive? One hospital in Dorset, England has stumbled upon an unusual way of making tiny premature babies in the neonatal intensive care unit (NICU) feel safe and comforted: by giving them a tiny handmade octopus to curl up with. 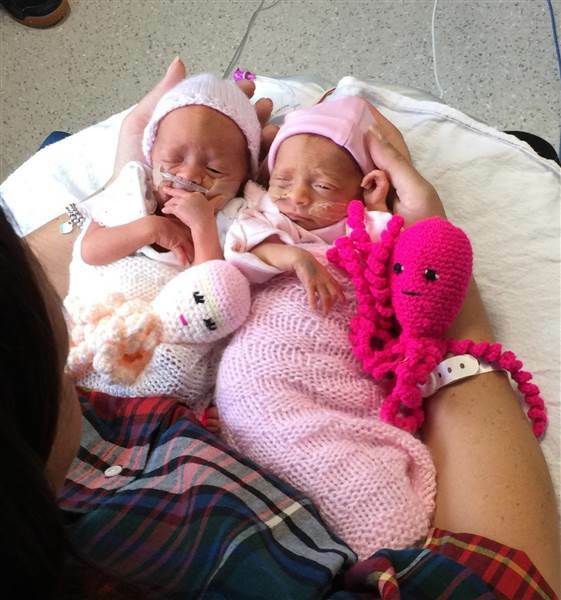 According to Poole Hospital, where the practice of pairing preemies with crocheted cephalopods has become an ongoing ritual, these cuddly crafts do more than just calm the babies. The idea originally hails from Denmark where Aarhus University Hospital has suggested that the creatures can actually help smaller babies grow and thrive. A spokesperson for Poole hospital stated that the decision to introduce the crocheted crafts to patients wasn’t based on published scientific research but contact with other hospitals who had found they made a noticeable difference to their little patients. But it can't be just any toy. It must be an octopus. So why these sea creatures exactly? The design of the crocheted tentacles gives the babies something to hold and squeeze, and that can be a good thing for regulating everything from oxygen intake to heartbeats. What's more, the tentacles might be helpful at keeping the tiny patients from pulling out their tubes. A number of babies at Poole Hospital took to their new toys especially well. In a feature that in the Daily Echo last fall, it was revealed that premature twin sisters Jasmine and Amber Smith-Leach both benefited from the comfort of their new toys. Their neonatal nurses said they have no doubt these tiny octopuses have helped the girls. What's more, in response to the story, the hospital's NICU has received a whole new supply of crocheted octopuses for future patients. Find the Octopus Pattern on our Pinterest!